via live webcam. 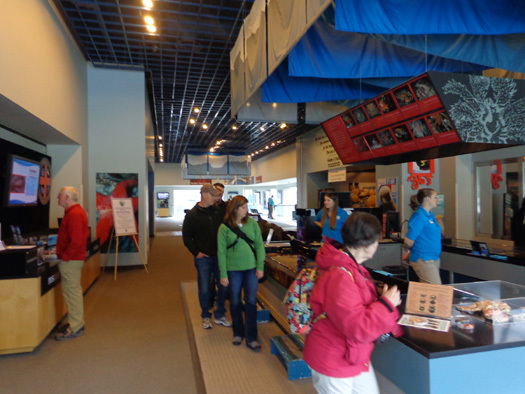 Or simply enjoy a variety of short films and interactive displays." Well, until about 4 PM. Then the sky got cloudy again and it rained lightly for a little while in the evening. We sure enjoyed the sunshine during most of the day. In the morning we stopped at the bakery near the small boat harbor in Seward to get more of their delicious fresh-baked whole wheat bread. 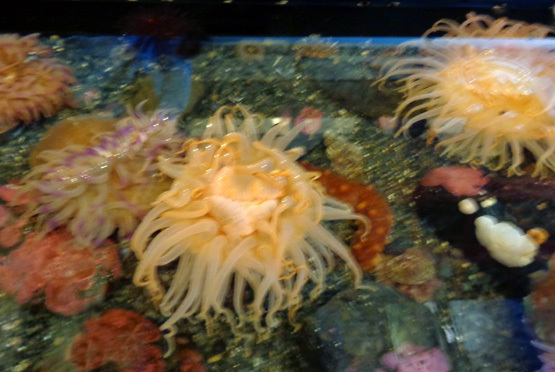 We arrived at the SeaLife Center just before it opened at 9 AM. That was a good time to go because it wasn�t crowded and the staff was busier feeding the animals than when we left at 10:30. 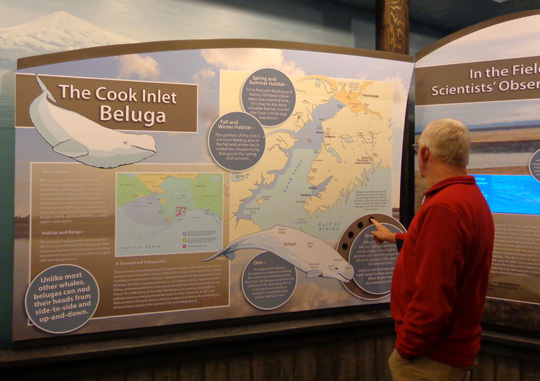 We're glad we decided to stay an extra day in Seward so we could go see this outstanding research and educational facility. We weren't sure if we should spend the money visiting the Center. 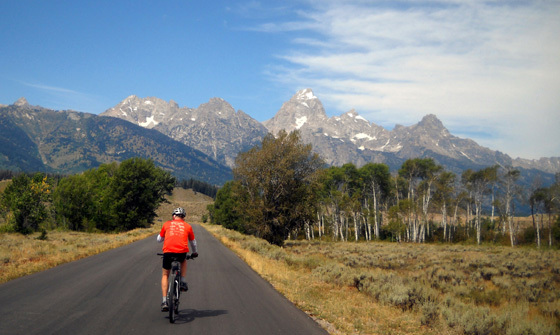 The RVers� journals we read either raved about it or didn�t care for it at all. Put us in the first category. We enjoyed it and felt it was well worth the entry fee. 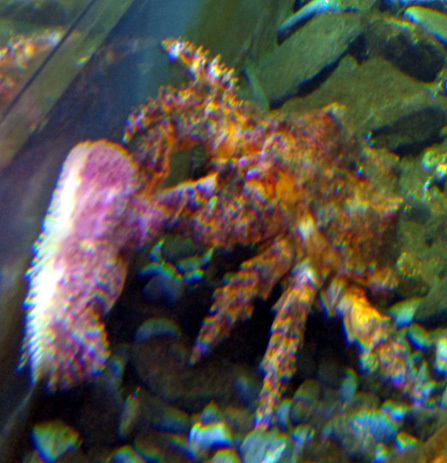 * The exhibits are well-done, we saw lots of different sea critters, and the staff was very knowledgeable and friendly. 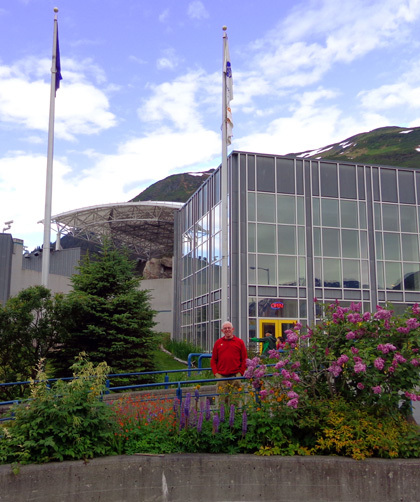 *The regular adult entry fee is $20 but there are discounts for kids, senior citizens, AAA members, military personnel, Alaska residents, and other categories of people. We paid $15 each for the tickets we bought through the Seward Military Resort. 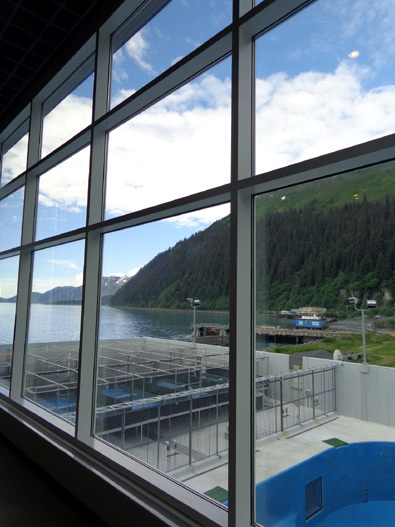 The Alaska SeaLife Center is a cold-water marine research and education facility that houses a permanent rehabilitation center for rescued ocean wildlife. This private, non-profit organization employs over 100 fulltime employees, plus science interns and volunteers. 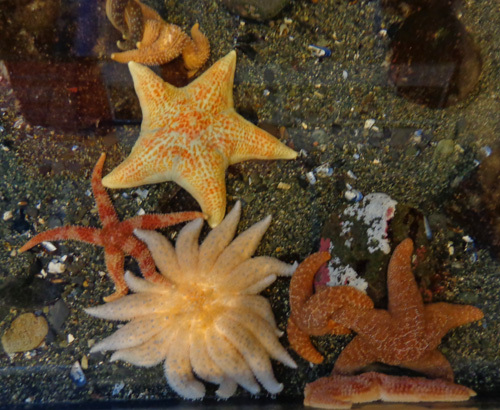 The Center's stated mission is to "generate and share scientific knowledge to promote understanding and stewardship of Alaska's marine ecosystem." 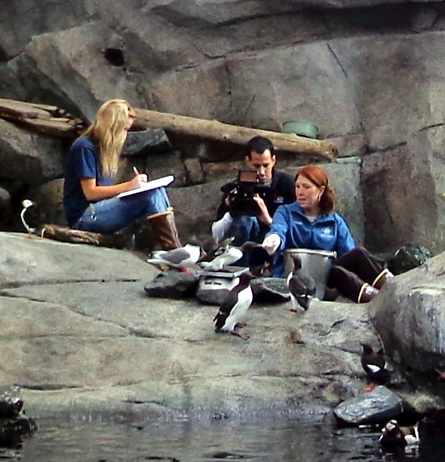 Among other things, scientists are studying declining marine animal populations and caring for sick and injured animals that come to their attention. 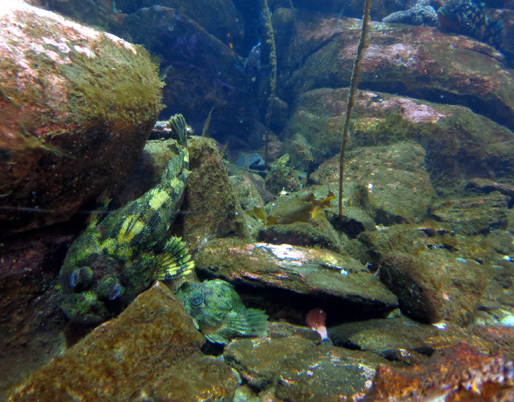 By inviting the public to view their work, they are enticing more people to care about this ecosystem and support their mission. 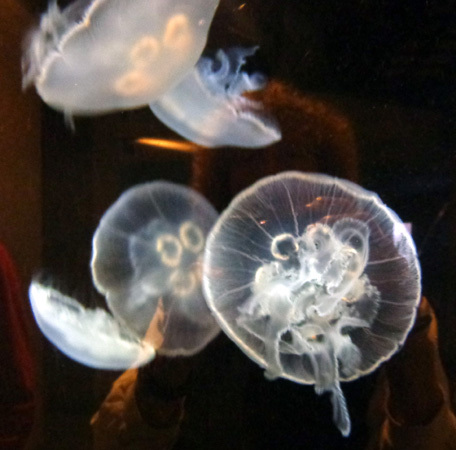 Moon jellies have transparent white bells trimmed with a fringe of tentacles. 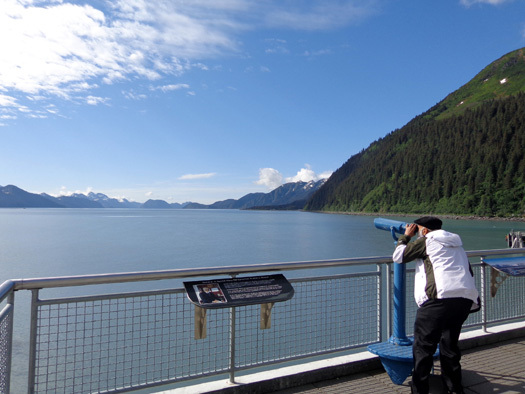 One of the ways scientists at the Center monitor marine mammals is with remote-controlled cameras in Resurrection Bay, at Aialik Glacier, and in the Chiswell Islands in the Gulf of Alaska about 35 miles south of Seward. 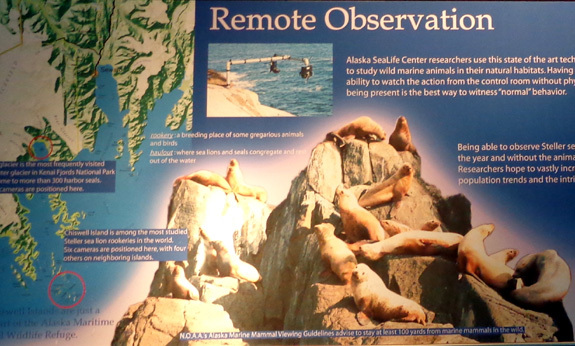 I showed a photo in the last entry of a remote camera that monitors Steller sea lions near Emerald Cove. The cameras are wind- and solar-powered. 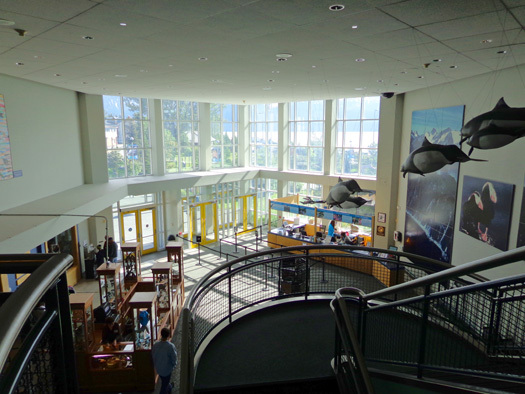 One of the exhibits at the SeaLife Center in Seward shows where the cameras are located and what behaviors scientists are studying. 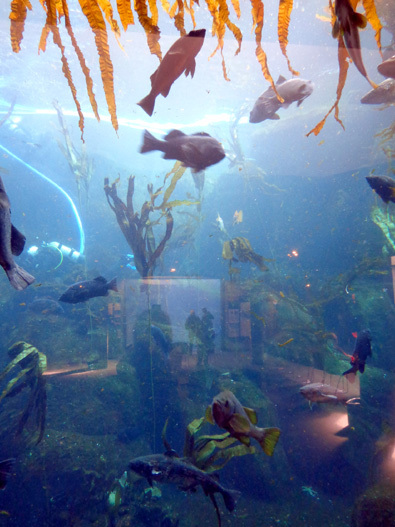 Visitors to the Center can watch harbor seals and sea lions remotely via these cameras. 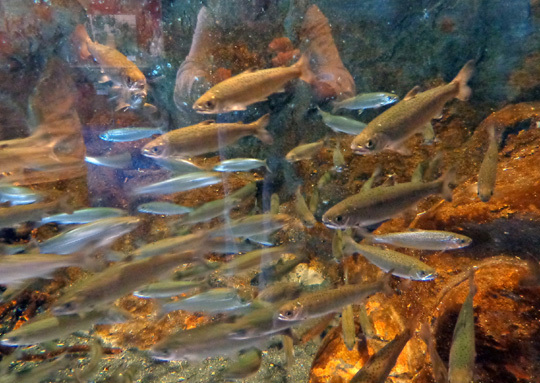 The exhibits and aquariums are open to the public year-round. 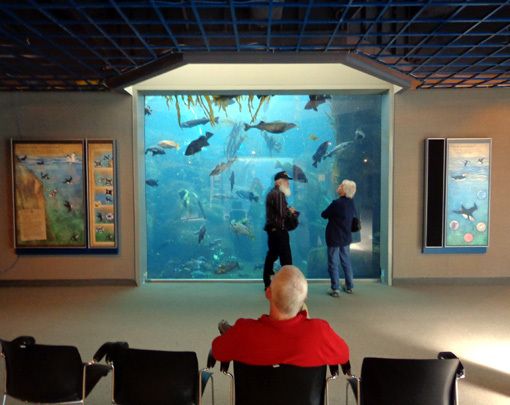 For an additional fee visitors can experience more detailed behind-the-scenes presentations and tours of the facility. 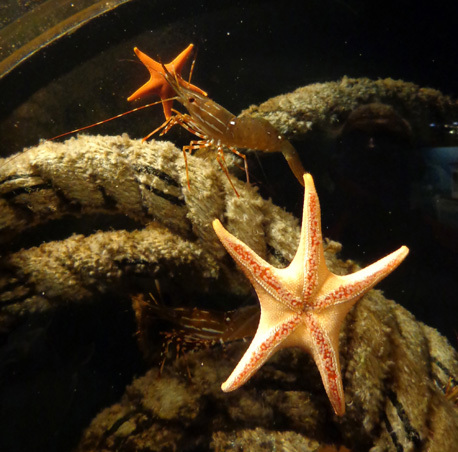 You can learn more about the Alaska SeaLife Center's work and interactive visitor opportunities on its comprehensive website. 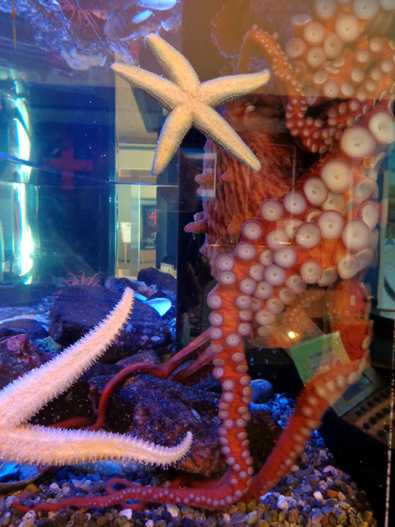 Visitors are free to wander through two floors of public exhibits that include numerous indoor and outdoor displays, viewing decks, and several salt-water aquariums containing fish, sea birds, Steller sea lions, harbor seals, an octopus, and dozens of other sea creatures. 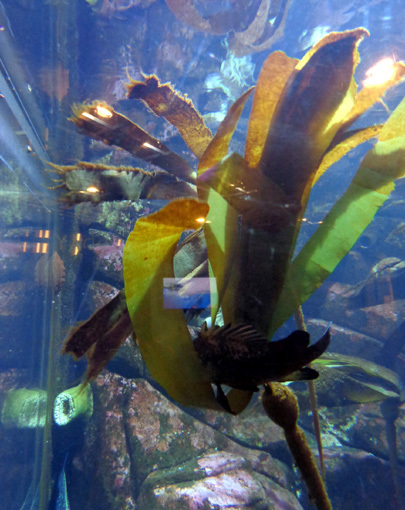 Since we hadn't been to the SeaLife Center before we were directed to begin with the exhibits upstairs. A spiral staircase and elevators carry visitors upstairs. There is a natural flow to the displays, which you can see in the diagrams on this webpage. 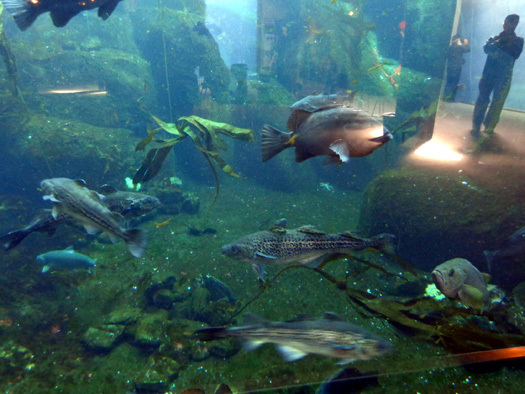 There are several aquariums inside the building that contain a wide variety of fish and other interesting sea critters that live in the cold waters off Alaska's thousands of miles of coastline. I just like the light and the colors in this one . . .